If you already know how to convert a date to String then its pretty easy for you but if you don't know when you need to learn about DateFormat classes e.g. SimpleDateFormat in JDK 6 or 7 and the java.time.format.DateTimeFormatter from the new Date and Time API in JDK 8. In this article, I'll give you an example of both before and after JDK 8 so that you can change the date format of String in Java 8 or before, but before that let's see what's the difference between SimpleDateFormat and DateTimeFormatter class. The new Date and Time API has built upon lesson learned from the previous failed attempt at creating a good date, time, and calendar API. The old API was non-intuitive, not thread-safe and mutable but new API has corrected all that mistake. This means, unlike SimpleDateFormat class, DateTimeFormatter is both thread-safe and immutable, as well easier to use which so many predefined formats. That's it you now have a String in the format you wanted. Though You just need to be a little bit careful while using the SimpleDateFormat class, it's not thread-safe and should not be shared in a multi-threading environment. You should also be careful with the pattern you specify because letters are case-sensitive, "yyyy-mm-dd" is not same as "yyyy-MM-dd". The small m is for a minute while capital M is for the month. Btw, If you think you know the old date and calendar API well, then check out this list of Java date and time interview questions, if you can answer all of them correctly then you are in good shape. You can use the DateTimeFormatter class in JDK 8 to change the date format of String in Java 8. The steps are exactly same but instead of using SimpleDateFormat and Date class, we'll use the DateTimeFormatter and LocalDateTime class. The DateTimeFormatter class is used to format and parse the date in Java 8 and LocalDateTime represent a date with time in the local timezone. You can choose the correct class depending on your pattern. Since we are going to convert format "yyyy-MM-dd hh:mm:ss" to "yyyy-MM-dd", the LocalDatetime is a right class. If your pattern just contains date then you can use a LocalDate class instead. You can see exactly same steps but the code is more robust because DateTimeFormatter is more expressive, thread-safe and immutable. In general, whenever you use JDK 8, make sure you use the new Date and Time API for all new code you write related to date functionalities. You should spend sometime to learn the essential classes e.g. LocalDate, LocalTime, LocalDateTime, ZonedDateTime, DateTimeFormatter etc. Most of the common task e.g. converting a string to date and vice-versa, formatting and parsing date, retrieving day, month, year etc have made simpler. 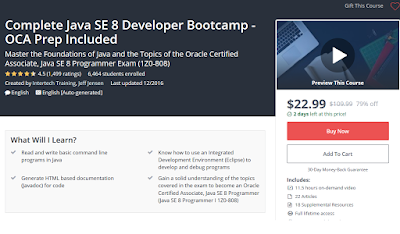 I suggest you join Java SE 8 bootcamp class on Udemy. Here is our complete Java program to change the date format of a String in Java or in another word, convert date from one format to other. In this sample, we'll convert date string "2017-01-18 20:10:00" to "2017-01-18" using both old way i.e. SimpleDateFormat and new way i.e. by using "DateTimeFomatter" class of JDK 8. You can see we have exactly same output using both ways. As I told you, steps are same just the classes are different. 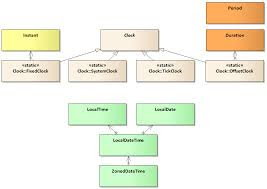 In Java 7 and before, it's SimpleDateFormat and Date class while in Java 8 its DateTimeFormatter and LocalDateTime class. Btw, If you are not familiar with JDK 8 then The Ultimate Java 8 Tutorial - From beginner to professional is a good place to start with. Converting String to date might look easy but it's not that easy at all. Many Java developer makes subtle mistakes due to the confusing syntax of a specific pattern for date format. There is also some subtle difference between JDK 8 and before, which means the same pattern which worked with SimpleDateFormat in JDK 8 might not work with DateTimeFormatter, an equivalent class from new Date and Time API of Java 8. So you got to be a little bit careful while specifying a pattern. The error message is clear, it is expecting 1 to 12 in hour field, so it's expecting an AM/PM date instead of 24 hours format and the reason for that was our pattern, "yyyy-MM-dd hh:mm:ss", which was using small h i.e. "hh" to specify hour of the day. When I changed this to capital H i.e. "HH" the error goes away. This is a very subtle difference which you might not have noticed while looking at the code. Another thing which is worth remembering is that capital M i.e. "MM" is used for a month and small m i.e. "mm" is used to specify minutes. Many programmers make this mistake while writing a pattern for date format. For example, to get the date like 2017-01-18, you need to specify a pattern "dd-MM-yyyy", not "dd-mm-yyyy", which will not work but easy to type because both dd and yyyy are in the small case. If you want to learn more about date formatting in Java, I suggest you go through a comprehensive Java course like Java 9 Masterclass on Udemy. It covers all essential Java concepts in good details. That's all about how to change the date format of a String in Java. We have seen how to do that in both JDK 8 and before. As I said, it's a two-step process, first, you convert String to date using old date format and then convert it back to String using new date format. That's it. Though I you are using Java 8, I suggest you to use DateTimeFormatter instead of SimpleDateFormat due to obvious reasons i.e. thread-safety and immutability. If you don't know Java 8 yet, you can start your journey from Java SE 8 BootCamp course, one of the good place to start with. How to convert Date to LocalDate in Java 8? How to parse String to LocalDate in Java 8? How to get current Day, Month, and Year from LocalDate in Java 8? How to convert Date to LocalDateTime in Java 8?